When trauma enters the lives of the unsuspecting, it steals from their very soul. It not only robs them of peace and joy, it can take years and decades from their lives while they desperately try to fill the hole in their heart, pretending that their soul isn't leaking out of it. No one is ever prepared for trauma, and no one is ever left unchanged by traumatic events. In the face of such adversity, what allows one person to find the gift in their wound and another to suffer endlessly? Enter Tanya Lauer and Kathleen Parrish, professional counselors at the internationally renowned residential treatment center, Cottonwood Tucson. 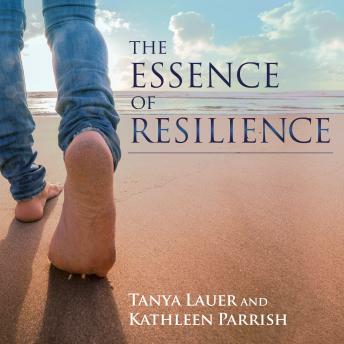 With over forty years of combined experience in helping people survive trauma and find the 'gift in their wound,' Lauer and Parrish offer The Essence of Resilience-an urgent and vital answer to this all-too-common marauder. Through stories, compassion, and understanding, they guide listeners straight to the heart of resilience-that place where we learn to heal and thrive.